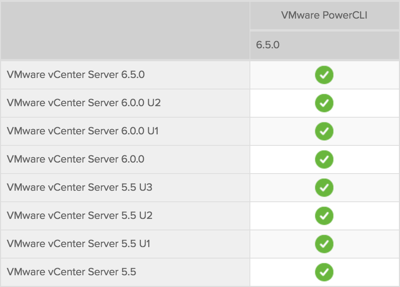 VMware today announced the general availability of VMware PowerCLI 6.5 Release 1. As with all versions of PowerCLI, it’s also backwards compatible going back to vSphere 5.5! The PowerCLI 6.5 R1 can be downloaded from HERE.